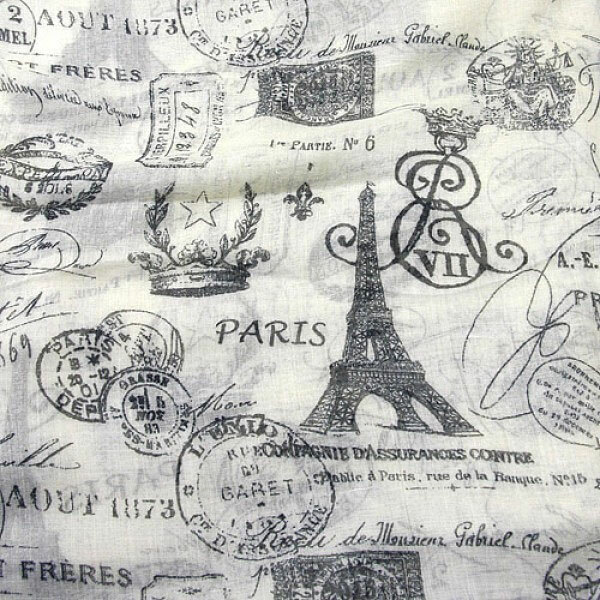 An attractive scarf with Parisian associated imagery, including the Eiffel Tower. 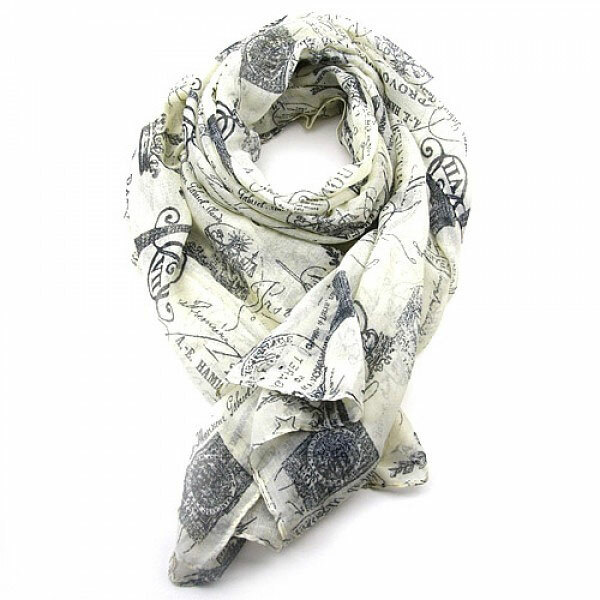 The scarf has a pale creamy-beige base, which is overprinted in mid-grey. Material of scarves: Polyester. Hand wash separately.